No matter where you are, no matter what you do … spills happen. It’s a fact of nature! But in your place of business, it’s especially important to have the correct tools on hand to clean up spills before they cause damage or injuries. But what are “the correct tools”? Spill response kits (not to mention the spills themselves) are not one size fits all. You need to ensure that you are prepared for exactly the type of spills that you will be facing. Only when you have the appropriate spill kits for your facility and the materials you use there will you be able to face any potential disaster with confidence. Your facility is unique — and along with that unique identity come unique potential issues. What liquids do you have on site? What areas are particularly prone to spills? Make sure to consider the worst-case quantities that could be spilled in various different locations. You’ll want to review all of these things before you go looking for the right spill kit for you. Just like your facility is unique, so is each spill kit. There are different types designed to most efficiently handle different spills. Universal or General Purpose Kits — These kits can handle both water-based fluids and hydrocarbons. These kits are usually gray. Oil Only Kits — Dealing with hydrocarbons? These absorbents repel water and can be used to clean up motor oil, jet fuel, diesel, gasoline, and hydraulic oil, among others. These materials are generally white. Hazmat Kits — These kits will allow you to clean up aggressive fluids such as acids and solvents. These kits will absorb both hydrocarbons and water-based fluids, and are usually yellow. Once you know what your facility’s risks are, you can find the spill kit that matches them. What materials will you need in your kit? Perhaps pads and rolls, absorbent pillows, or absorbent socks. Each material has its own strengths, so you should read up on the particular uses for each type to determine which is best for you. Other things to consider are the potential size of your spills — will you need to clean up small leaks, or massive spills? Keep in mind the requirements for your industry and the type of container you will need. Does your container need to be used outdoors, or inside? Different types of containers will be best suited for different spill volumes (for instance, bagged or bucket spill kits will do fine for small spills, but large-volume spills might require a drum or a wheeled cart). If none of these kits seem like the right match for you, don’t worry! Talk to AbsorbentsOnline and we can build a custom kit that meets all your needs and leaves you confident in your ability to handle any spill. 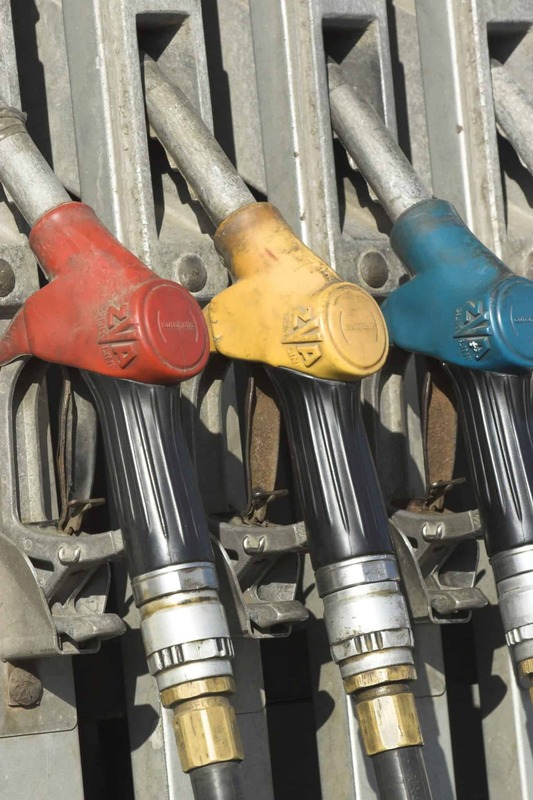 [sc:date] Whether it’s gas or diesel, fuel is found in just about every industrial workplace. Companies use them to power forklifts, trucks, transportation vehicles, and a wide range of heavy equipment. Because it’s such a commonly used chemical in the workplace, there’s a high risk for spills. This is why it’s important for companies to take the necessary precautions to protect themselves against spills, along with creating a plan for containing and cleaning fuel in the event that a spill occurs. As the old saying goes — hope for the best but plan for the worst — holds true in this instance. To learn more about the dangers of a workplace fuel spill, and how you should deal with it, keep reading. This probably isn’t a shocker to most people, but fuel is a highly flammable and combustible liquid. 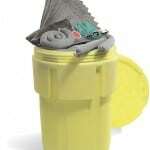 Allowing it to spill in the workplace creates a danger to any nearby employees. If a spark or flame were to make its way into the area, the spilled fuel could ignite into a fire. 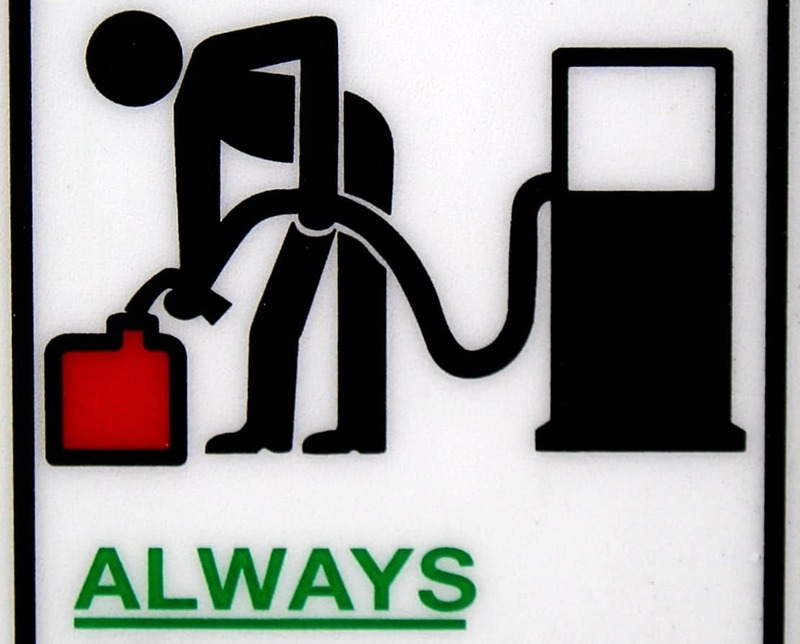 Fuel fires are especially dangerous since they are difficult to put out. Spraying water over them isn’t going to have much of an effect, placing the entire workplace in jeopardy. This is one of the reasons why fuel should be stored away from flames and heat sources, and only placed in designated containers (gas will burn through Styrofoam containers). Fuel is also incredibly slick. Even if it doesn’t contribute to a fire, a patch of spilled fuel on the hard concrete floor may send an unsuspecting worker tumbling to the ground. It only takes a couple drops of gas to turn an otherwise safe working area into a slip-and-fall hazard. Slip-and-falls are one of the leading types of workplace injuries, costing companies billions of dollar in direct and indirect costs each year. Reducing fuel and other chemical spills will help to safeguard your company from such accidents. 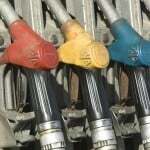 Cleaning Up Fuel Spills: What’s The Best Approach? Cleaning up a workplace fuel spill is actually easier than most people realize. If the source of the spill is a fuel tank, a inflatable pool can be placed directly underneath the leak to help contain it. 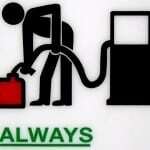 Any fuel leaking from a pump or container will fall directly into the pool. Absorbent socks found in spill kits can also be used to help control a fuel spill spreading on the ground. And depending on the size of the spill, absorbent pads may be used to clean the fuel up. Hazardous waste containers are a must have item to have to place fuel socked absorbents in until they are properly disposed of. 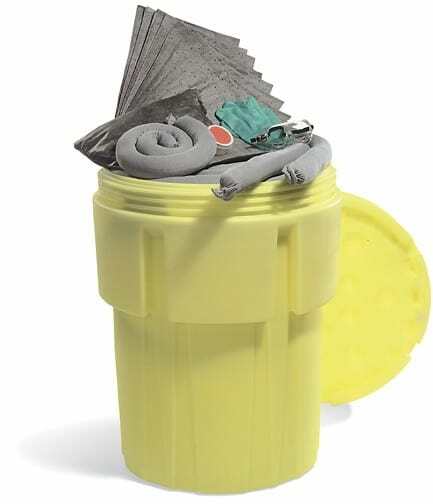 Always disposal of the material used according to Local, State and Federal regulations. [sc:date] Also referred to as quicksilver, liquid mercury is a highly toxic chemical that’s commonly found in thermometers, barometers, float valves, switches, relays and electric components. Due to its unique characteristics, however, mercury requires a different approach to clean. In the even of a spill, it’s important for companies and individuals to follow the proper procedure towards cleanup; otherwise, there’s a greater risk of mercury poisoning for those who come into contact with the substance. To learn more about the do’s and don’ts of cleaning up a liquid mercury spill, keep reading. NEVER attempt to clean a liquid mercury spill using a vacuum cleaner. The suction pressure of a vacuum cleaner will force microscopic particles of the mercury into the air rather than keeping it contained. 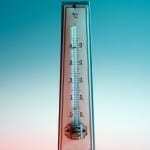 This results in higher mercury exposure to anyone in the surrounding area. A vacuum cleaner might seem like a good idea initially, but it’s far too dangerous to use with mercury. Spreading the mercury into the air creates a significantly more dangerous environment, so keep the vacuum turned off! Another mistake that’s commonly made when cleaning liquid mercury spills is sweeping it with a broom. 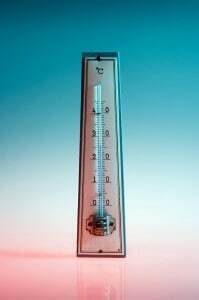 As previously stated, mercury possesses certain unique characteristics, one of which is the ability to ‘ball’ up rather than spreading evenly throughout like water or water-based substances. If you attempt to sweep liquid mercury with a broom, chances are you’ll spread it around into several smaller drops. Rather than having just a few large drops bunched together, you’ll have dozens or even hundreds of smaller drops scattered across the floor. Due to the high toxicity of liquid mercury (even skin contact is toxic), you should always gear up in protective gear before attempting to clean up a spill. Don a pair of protective safety goggles along with thick, professional-grade latex gloves. And remember that even with this gear, you should avoid contact with liquid mercury. If you aren’t supposed to use a vacuum cleaner or broom, how exactly do you clean liquid mercury spills? The Environmental Protection Agency (EPA) recommends using a squeegee or piece of cardboard to push it into a single pile. Next, use an eyedropper to transfer it into a damp paper towel. You can then place the mercury-filled paper towel into a sealed plastic bag. Lastly, contact your local health or fire department to have them properly dispose of the liquid mercury. [sc:date] If you’re company deals produces, processes, stores or otherwise ‘handles’ chemicals, you’ll need the appropriate absorbents on hand to maintain a safe and compliant workplace. In the event of a spill, absorbents will allow you to effectively contain and clean the chemical in less time. But with so many different types of absorbents ranging in size, material, shape and construction, how do you know which ones to choose? Keep reading for a breakdown of chemical absorbents. Universal – The most popular category of chemical absorbent is known as universal. Basically, universal absorbents are intended for both oil and water-based chemical spills. Due to their versatility, most companies choose this type of absorbent. Oil-Only – Oil-only absorbents are just what they sound like — designed specifically for oil-based spills. If your company deals strictly with oil-based chemicals, then you’ll want to choose this type of absorbent in the event of a spill. Oil tends to float higher than water, so booms are oftentimes used to contain the spill. Hazmat – The third category of chemical absorbent is known as hazmat. This category of absorbent is designed for aggressive chemicals which universal or oil-only absorbents are unable to handle. 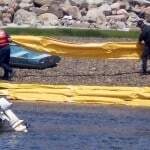 In addition, hazmat absorbents can also be used to clean water and/or oil-based chemical spills. There are several different types of chemical absorbent products, each of which has its own unique purpose. Absorbent pads, for instance, are placed directly on top of a spill to soak up the chemical. As long as the pad is designed for appropriate chemical, it will effectively soak it up. Some companies also use pads as a preventive measure to reduce the chance of a work-related accident. You could place a couple pads underneath a forklift storage area to prevent oil from spilling onto the floor. Another type of chemical absorbent product are booms. These are typically used for larger spills which aren’t easily contained with mats or pads. The boom is used to contain the chemical spill within a certain area while slowly absorbing and soaking it up. No matter how large of a spill your company is dealing with, booms offer a safe and effective way to contain and control it. Of course, basic rolls are another type of chemical absorbent that shouldn’t be overlooked. When a small spill occurs, simply wipe it up with a couple sheets of an absorbent roll. 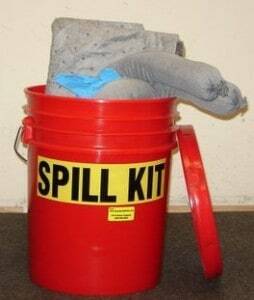 What Should a Spill Kit Contain? [sc:date] A spill kit is an all-in-one container which stores gear and equipment used for cleaning up hazardous material spills. The EPA’s Spill Prevention Countermeasure and Control Planning guidelines state that companies who deal with hazardous materials must have the appropriate spill kits ready as a precautionary measure. If a corrosive chemical were to spill, kit such as these will allow workers to better control and contain it. But just what exactly should a spill kit contain? Spill kits are generally broken down into one of three different categories: general purpose, oil and hazmat. It’s important for company owners to carefully identify their particular needs before choosing a kit. While a general purpose kit may suffice for some companies, others may require a hazmat kit. Look below for a quick comparison of the three different types of spill kits. General Purpose – As the name suggests, this type of spill kit is designed for both water-based liquids as well as hydrocarbons. General purpose spill kits are made with gray absorbents, making them effective for cleaning up water and hydrocarbons. Oil Only – An oil spill kit contains white absorbents and is designed to clean up hydrocarbons such as oil and gasoline. The absorbents found in this kit float on water for more effective cleanup contact with the hydrocarbons. Hazmat – The third type of spill kit is a hazmat kit, which is designed for spills involving highly corrosive acids and solvents. Hazmat spill kits contain yellow-colored absorbents. 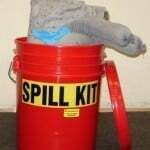 The exact contents of a spill kit will vary depending on the particular model you choose; however, there are some key items found in most kits. Some of the most common items found in spill kits include safety goggles, gloves, disposable bags, pads and socks. Before purchasing a new spill kit, check its contents to ensure it’s an acceptable match for your company’s needs. After identifying the chemicals used in your workplace, you can then choose the right type of spill kit. Along with the contents, you should also consider the size of a spill kit. A bucket-sized spill kit is perfectly fine for smaller work areas, but larger work areas will require a larger spill kit. A step up from the bucket-sized spill kit is the drum model. Going up even further is the mobile cart spill kit. The mobile cart spill kit contains wheels for easier transportation. [sc:date] When a spill occurs, responders will need to gear up in the appropriate personal protective equipment (PPE) before entering the contaminated area. As the name suggests, PPE is designed to protect the wearer from spill-related dangers. Because all spills are different, however, it’s important to choose the right PPE before entering the area. In this post, we’re going to reveal the different levels of PPE. PPE is more than just a recommendation, it’s a requirement by the Occupational Safety and Health Administration (OSHA) for limiting workers’ exposure to hazardous materials. If a spill cannot be controlled by normal means, OSHA states that workers must gear up in PPE. Of course, the type of PPE necessary will depend on the situation. 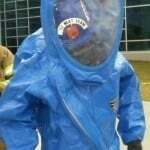 Certain types of PPE are tailored towards specific chemicals and toxins. This is why it’s necessary to accurately identify the spilled materials before responders enter the contaminated area. The Environmental Protection Agency (EPA) has defined four level of risk associated with chemical spills. PPE is found readily available based on these varying risk levels, with “Level A” being the most secure and “Level D” being the least secure. Level A – Highest level of both skin and respiratory protection available. Level A PPE is constructed with reinforced, sealed seams to prevent air from entering. When worn, Level A PPE will offer a superior level of protection against chemicals and contamination. Level B – Contains the same industrial-grade plastic coasting material to prevent against chemical splash; however, Level B PPE does not protect against airborne gas exposure. The unsealed seams leaves the wearer vulnerable to chemical gasses. Level B PPE are intended for areas with no harmful gasses present. Level C – Similar to Level B PPE but with less respiratory protection. Most Level C PPEs contain a basic air respirator rather than a SCBA. These suits are only used when the contaminated area is deemed safe for air purifying respirators. Level D – The lowest level of protection is Level D PPE. There’s no respirator mask used in conjunction with these suits. 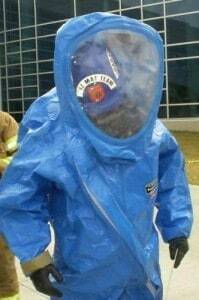 In fact, most Level D PPE suits are basic jumpsuits, offering minimal skin protection an no respiratory protection. Hopefully, this will give you a better understanding of the different PPE levels. It’s simple system that was put in place to help companies and responders select their protective suit and gear.